Bodzash Photography and Astronomy: Do You Know What the Titanic Looked Like? The Titanic and Olympic weren't truly identical. This morning marked the 100th anniversary of the Titanic sinking, which was, at the time, the worst maritime disaster in history. However, despite its fame, there are very few pictures and even less movie of the Titanic, which has created quite a problem for documentary producers. Solution: use photos and footage of the Titanic's sister ship, Olympic, as a stand-in. Problem: Titanic and Olympic weren't identical and now, thanks to repeated use of Olympic imagery, few people know what the Titanic actually looked like. 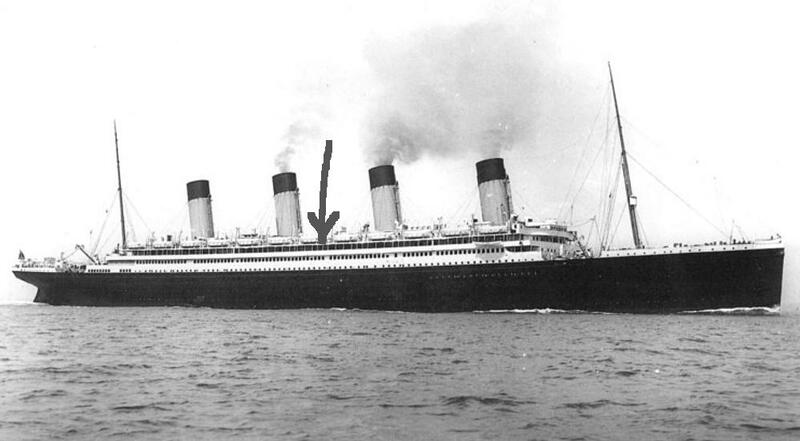 What many people may not know is that, at the time, the Titanic was not a sensation at all, that distinction went to the Olympic, which entered service in 1911, the year before Titanic did so. At the time of her launch, Olympic was the largest ship in the world by a large margin and therefore it attracted a lot of media attention. The Titanic? 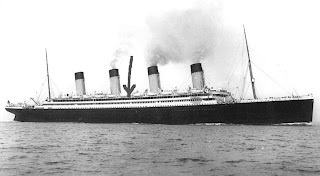 Well, it was Olympic's near twin, but, since it was the second ship of the class, it attracted little attention, that was until it sank on its maiden voyage with over 1500 passengers and crew still aboard. As good as the Olympic was, designers were hard at work looking for areas of improvement. One area deemed in need of a fix: the promenade deck, the deck right below the boat deck. On the Olympic, this deck was open for the length of the ship. Titanic, being a year behind in construction, was still enough of a work in progress that a large section of the promenade deck could be enclosed. To see the difference, look at the pictures above. So, the next time you see a documentary or read something about the Titanic, be careful to look at the promenade deck as, chances are, you could be looking at Titanic's nearly identical twin, instead.